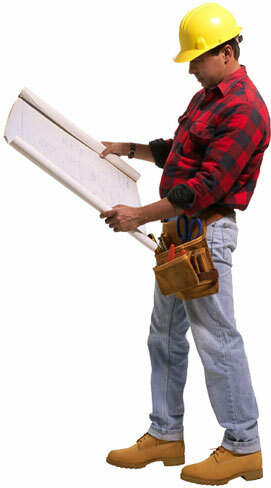 For most building works especially to your own home, finding a good local builder is a high priority. The views & opinions offered by the author are intended as a ‘guide’ to assist a prospective client in selecting their house extension builder. The views may not be concise and may even conflict with other recommendations. The client is therefore recommended to seek as many alternative views as possible before selecting a home extension builder. There is no guaranteed way of selecting a suitable house builder for your house extension that will ensure that your scheme is built on time, to spec. and on budget. Even the most tried & tested methods can result in tears for either the building owner or builder themselves for all sorts of reasons including personality conflicts. Ask around. Consult family and friends of their previous house building experiences and whether they would recommend their own home extension builder for any future work that you or they themselves may be considering. Planning and Building Design Agents usually have numerous contacts within the building profession. However, Agents do not like to promote any one particular Builder for ethical and codes of conduct reasons so you may be given a list a ‘known house extension builders’ for you to either consult yourselves or use as part of the tendering process. Any respectable home builder will be able to provide you with at least 3 references of previous work which should be very recent and within the last year. Take up those references and take time to research the house builders history. Some house builders belong to trade associations such as NHBC, FMB etc. Remember that most trade associations are primarily to look after the home builders interest as any revenue they collect is from the extension builders themselves. However, some offer warranty schemes should failures occur either in the work completed or the ruining of the house builders finances etc. These home extension warranty schemes are not free and are often insurance backed with a premium based upon a percentage of the contract price. They can significantly add to the cost of a home building project & you should consider its relevance and value to your own particular situation. Some of these builders have higher operating overheads such as dedicated offices, yards & full time employees which is often reflected in their tender prices so they are often discounted by the building owner seeking the lowest possible price. However, there is an aspect called ‘best value’ where often the cheapest quote does not guarantee best value so please think twice before accepting the lowest price from an unwarranted house builder. Remember that employing a trade associated builder in still no guarantee of quality but it does reduce the risks. Many builders are commonly termed ‘jobbing builders’ working from home & employ sub-contract labour as & when required. These builders often do not belong to any trade bodies & therefore unable to offer warranties or back up administration services. However, it is predominantly these types of builders that complete home extension works due to their lower overheads & margins. These builders should not be overlooked or categorized as unworthy as many have excellent trade skills, managerial assets & are happy just going from job to job. However, regretfully most house builders associated with the ‘cowboy’ element can come from this arena & you must do your homework first. Employing a home extension builder for work completed ‘cash in hand’ may be very tempting but you are at risk of falling into the usual traps and encouraging this ‘tarnishing’ element upon other very respectful jobbing home builders. Most home extension builders operate under the limited company status and it must be remembered that their financial responsibility to the building owner is very limited although most people seem to respect the Ltd. status far more than unlimited house Builders. Home extension Builders that are unlimited may have additional assets at risk & therefore could offer the extra bonus to yourselves in the event of contractual breakdown or defects.